The "can't-miss" eats of NYC's best food festival. Smorgasburg is annual food market put on by Brooklyn Flea, the conglomerate of popular flea markets throughout New York City. 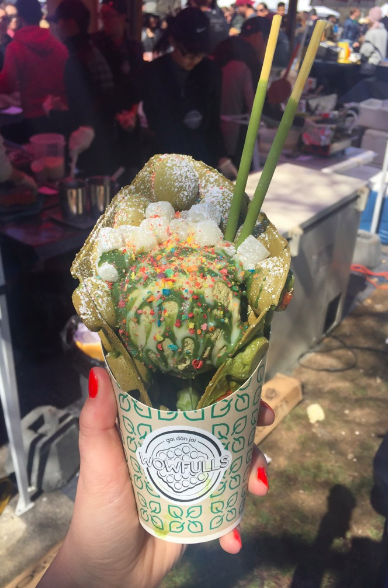 What makes Smorgasburg unique is that it’s devoted 100% to food vendors. It has grown from May 2011 into New York City’s greatest outdoor food attraction. Open every Saturday and Sunday from April to November, you have more than enough time to see what the hype (and rightfully so) is all about. 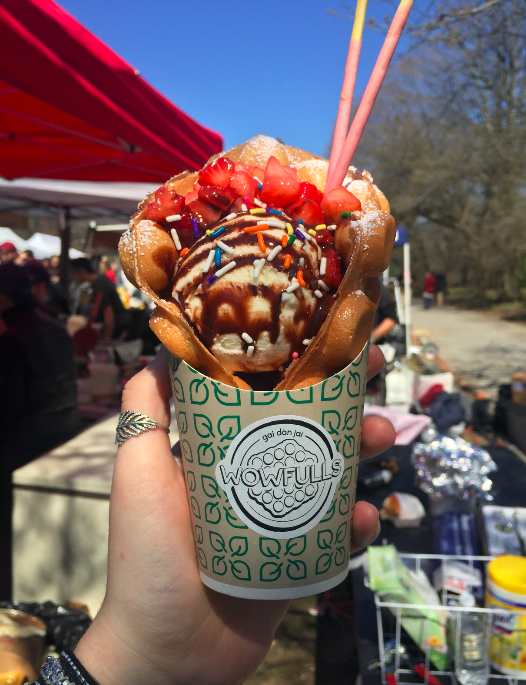 Smorgasburg has a ridiculous amount of options so simply try one (or all) of these places to ensure you get the most out of your foodie adventure. David Chan and Peter Li always dreamt of having a business together. They wanted to create something related to their Chinese culture that wasn’t already popular in the United States. Gai Dan Jai – egg waffles – are common in Hong Kong, and David and Peter sought to bring them to New York. 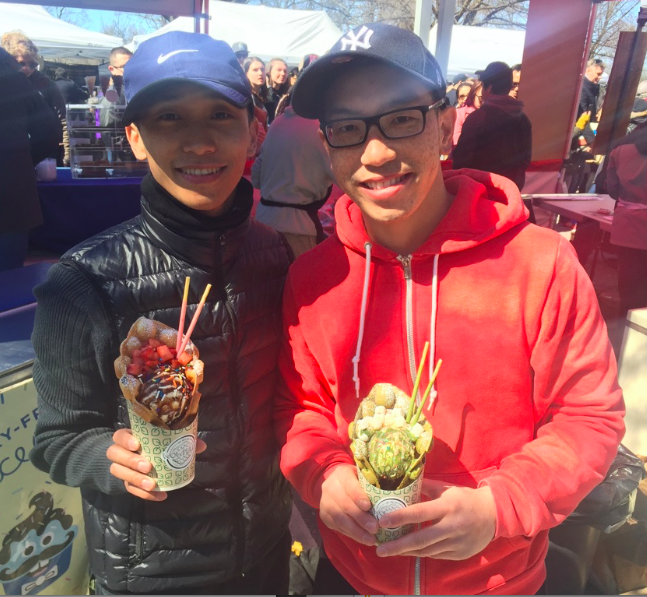 They put a creative spin on the waffles by offering flavored versions (think green tea), and when they tried them, thought, “WOW”. Just like that, Wowfulls was born. Describe your business in one sentence: To bridge cultures with a bite of history while creating smiles one piece at a time. Spoon reaction: Two words here: WOW and FULL. These waffles put literally every other waffle to shame, trust. The consistency was crisp on the outside but fluffy and soft on the inside and when eaten with the ice cream was like getting a peek into heaven. The customer service I received at Wowfulls was just as wonderful as the waffle itself. David and Peter were so friendly and happily answered my questions and posed for a picture, even though I’m pretty positive I was interrupting their waffle making process. Go here. ASAP. Six years ago, french trained executive chef Alfred fell in love with poke while vacationing in Maui. Upon returning to New York, Alfred unsuccessfully sought to find poke, and eventually realized it was a unfilled foodie niche that needed filling. 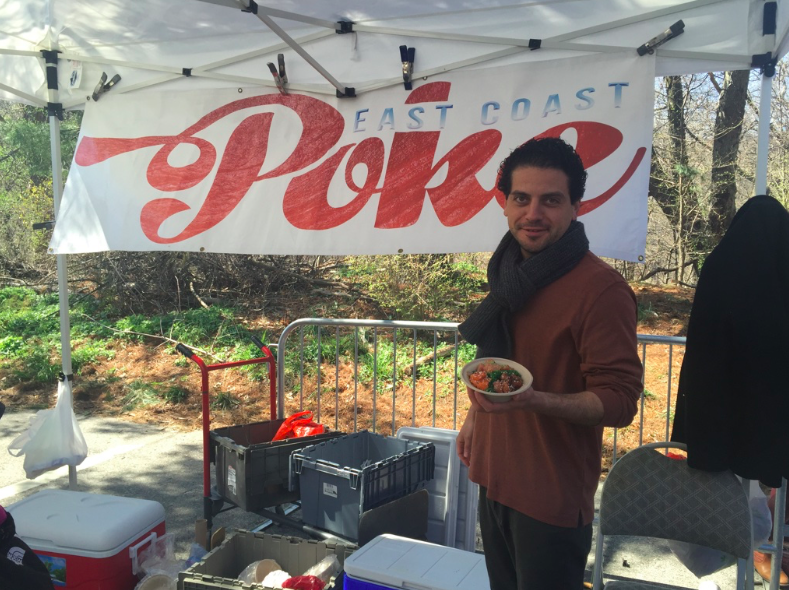 In 2013, Alfred introduced East Coast Poke to the owners of Smorgasburg, and they were blown away. The business grew from a labor of love to a full time opportunity. Alfred explains that poke brings him back to his Italian roots, because like Italian cuisine, poke emphasizes the beauty of simple, fresh ingredients. Describe your business in one sentence: The perfect blend of simplicity and taste. Spoon reaction: I’m from the West Coast. I’m a seafood snob. For months I have grumbled about how the seafood in New York “just isn’t the same”. Upon taking my first bite of East Coast Poke, everything changed. Did someone just transport me home? Was I suddenly in the Hawaiian islands? 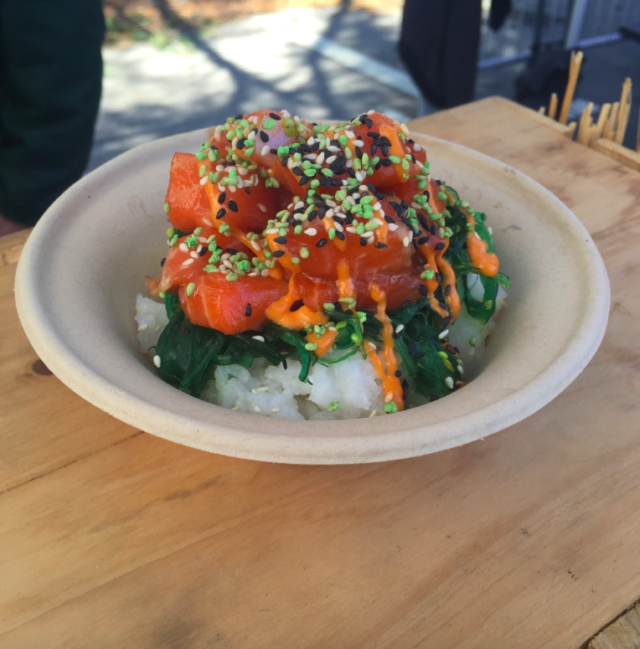 Nah, East Coast Poke’s fish was just THAT good. Alfred proudly explained that he has all his fish flown in overnight from Honolulu, except the salmon, which comes from the same small Washington state fishing town my family gets their salmon from. Alfred was also so sweet and spent a good deal of time explaining his poke-process to me. 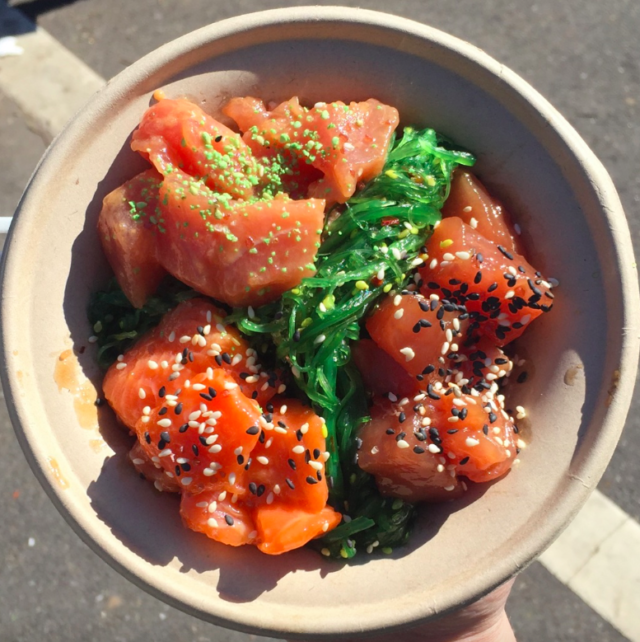 If you want awesome Poke served with a smile, East Coast Poke is your spot. In 2013, Ian Vernon, creator of Home Frite, grew tired of his office job. 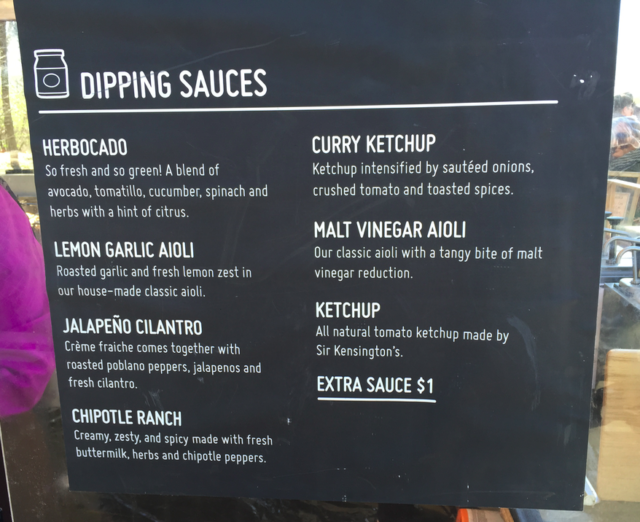 He realized Smorgasburg was missing fries, and began experimenting with fries and sauces in his apartment kitchen. Crystal Lingle and Maxwell Hawk joined his team, and just like that, Home Frite was born. 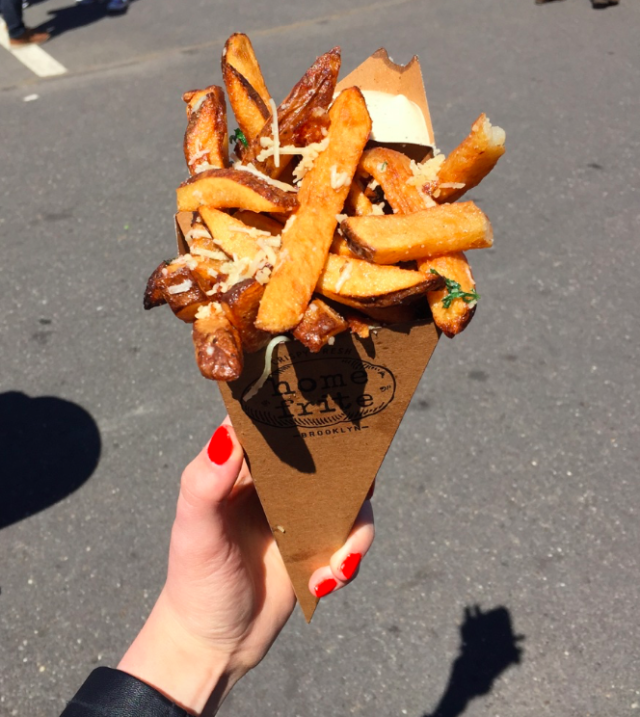 Describe your business in one sentence: The best fries in New York City. Spoon Reaction: These fries were pretty awesome. I opted for the Truffle variety, which was accompanied by a side of Lemon Garlic aioli that totally rocked my socks off. (I wasn’t wearing socks, but still). The fries came in an adorable little cone that was definitely insta-worthy, and even though the cone held A TON of fries, I for sure wanted more once mine was empty. 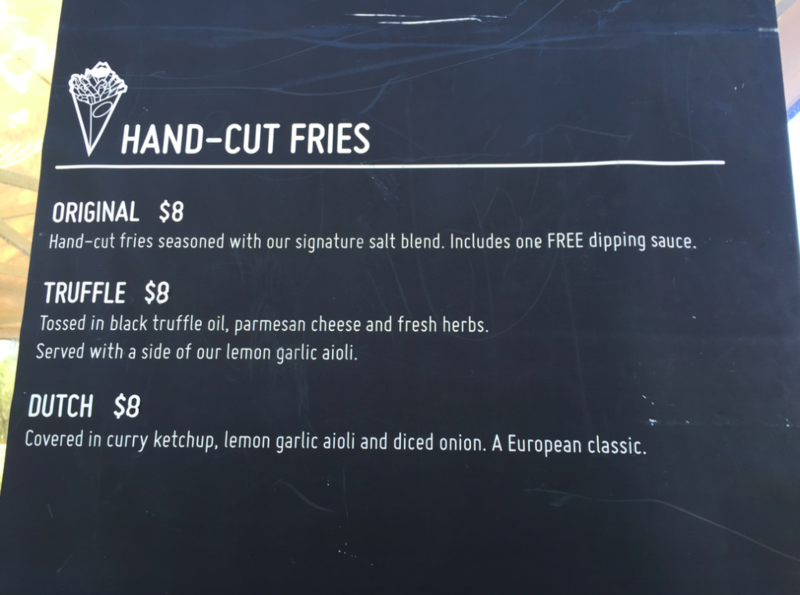 If you like fries, go to Home Frite. Even if you don’t like fries, go to Home Frite. For 10 years, the owners of Rubyzaar had ran their own business. 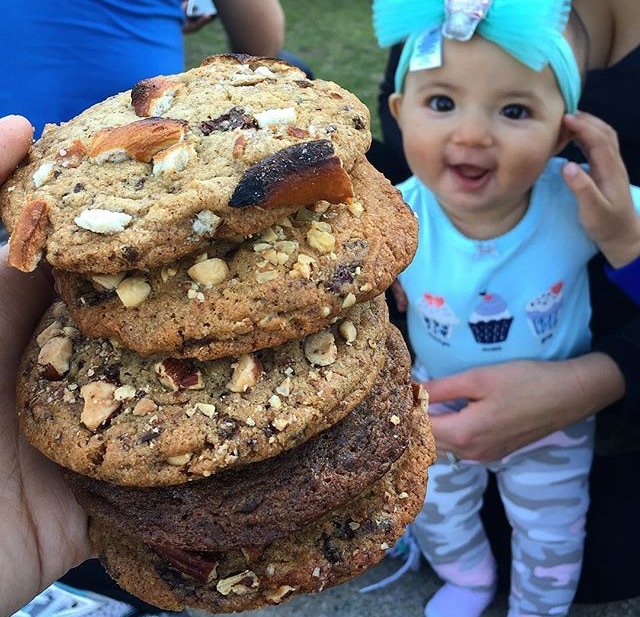 When the economy went bad, they shifted their focus from clothes to something they called the “Recession Cookie.” In just 5 weeks at Union Square, they had sold over 25,000 cookies. Describe your business in one sentence: Synthesia in your mouth. 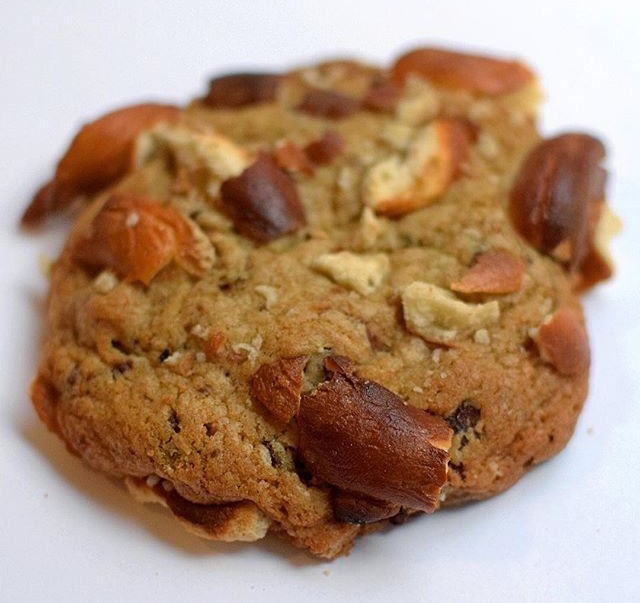 Spoon Reaction: I tried the chocolate chip pretzel cookie, and all I can say is OMG. Rubyzaar is delicious, and definitely not your grandma’s cookie (sorry grandma). In 2012, Giuseppe started Alchemy Creamery out of his NYC apartment. Lactose intolerant himself, Giuseppe had one goal in mind: make ice cream something everyone can enjoy. 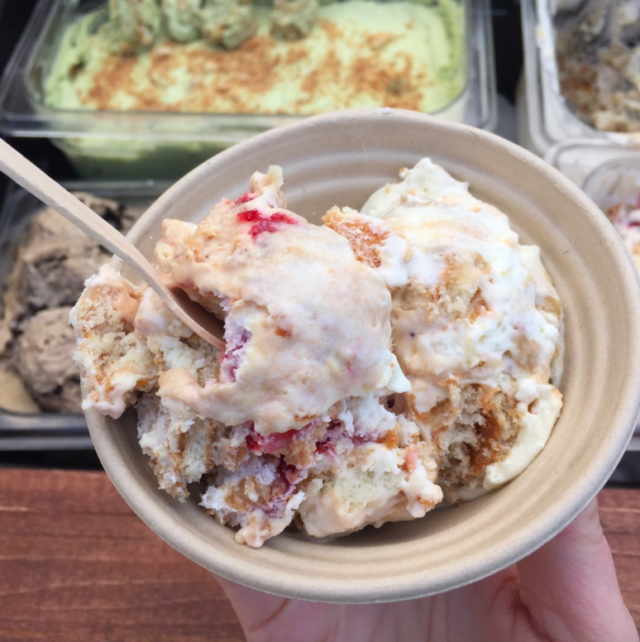 Alchemy Creamery has been at Smorgasburg since then, pleasing lactose tolerants and intolerants alike. Describe your business in one sentence: Best dairy free has to offer. Spoon Reaction: I love ice cream. I’m also lactose intolerant. Yeah, not a great mix. 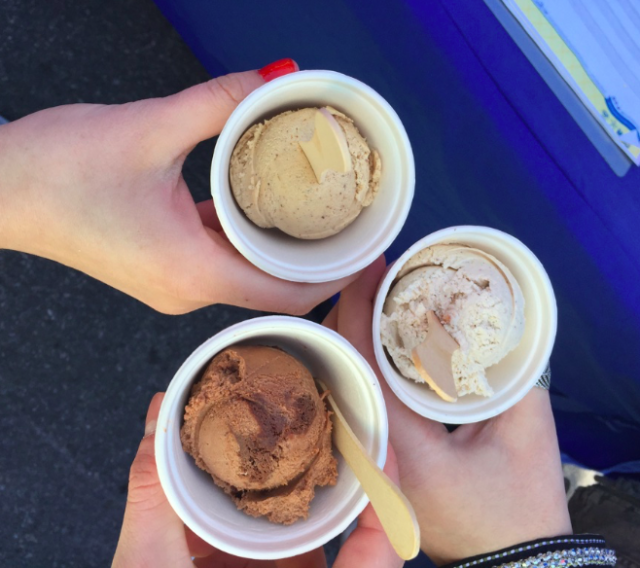 Most lactose free ice cream tastes…off. 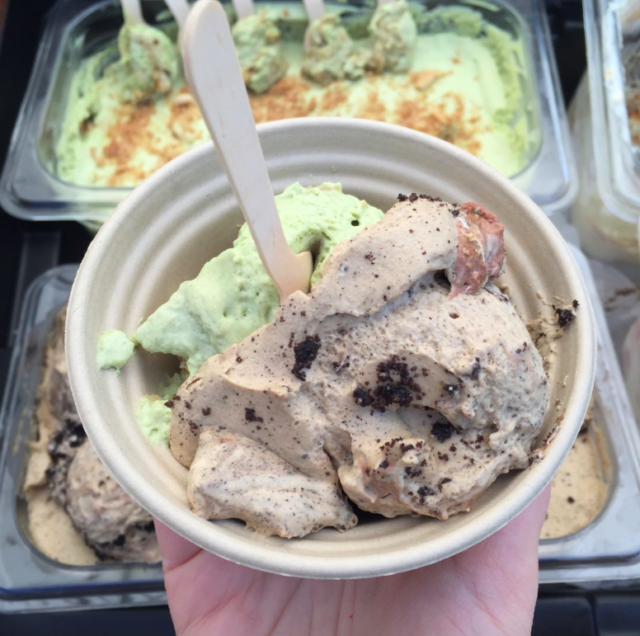 Alchemy’s ice cream tastes awesome — really awesome — like awesome-r than a lot of dairy loaded ice creams. Also, afterwards, I didn’t feel bogged down and ill (as I usually do with dairy ice cream), so that was a plus. Regardless of your lactose tolerance, if you’re looking for an outstanding cold creamy treat, Alchemy Creamery is your spot. 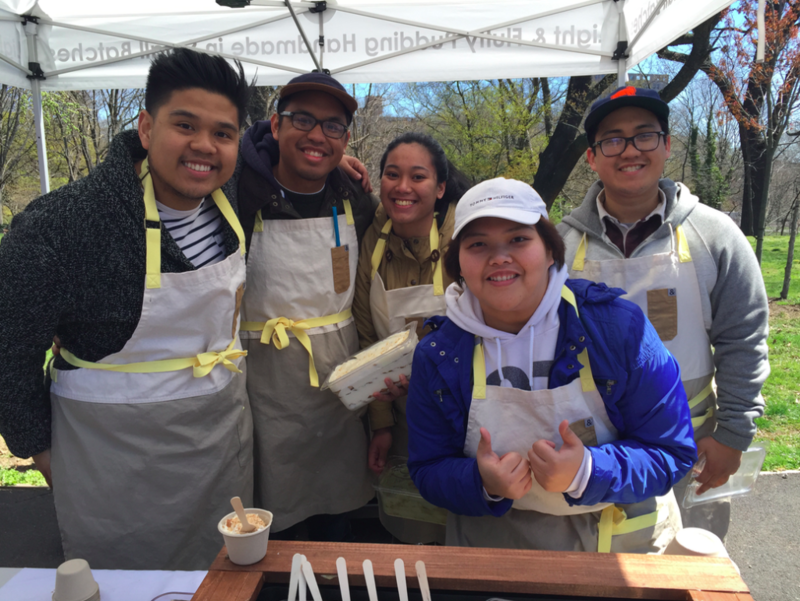 #baonanas began in 2014, as a fundraiser for a car accident. Trish and Lloyd began selling their banana pudding on Instagram, hence the hashtag. Their homemade-recipe pudding was such a hit that in 2 months, the duo had raised enough to fix the car. People could not get enough of #baonanas, and Trish and Lloyd soon had a long order list, and even requests for wholesale orders. Describe your business in one sentence: Love and positive vibes – make Jersey City known. Spoon Reaction: Lloyd told me that bao means “heavenly treasure” in Chinese, which would be a perfect way to describe what a scoop of #baonanas tastes like. Enter the fluffiest, sweetest banana pudding I have ever had. (Sorry grandma, again). The #spressonanas was so good it brought actual tears to my eyes, but my all time favorite was the OG. I had a great time stuffing my face with pudding and chatting with the #baonanas team, who made me feel like we were old pals. Head to #baonanas to get your fix, it’s made out of bananas so it’s healthy right?? 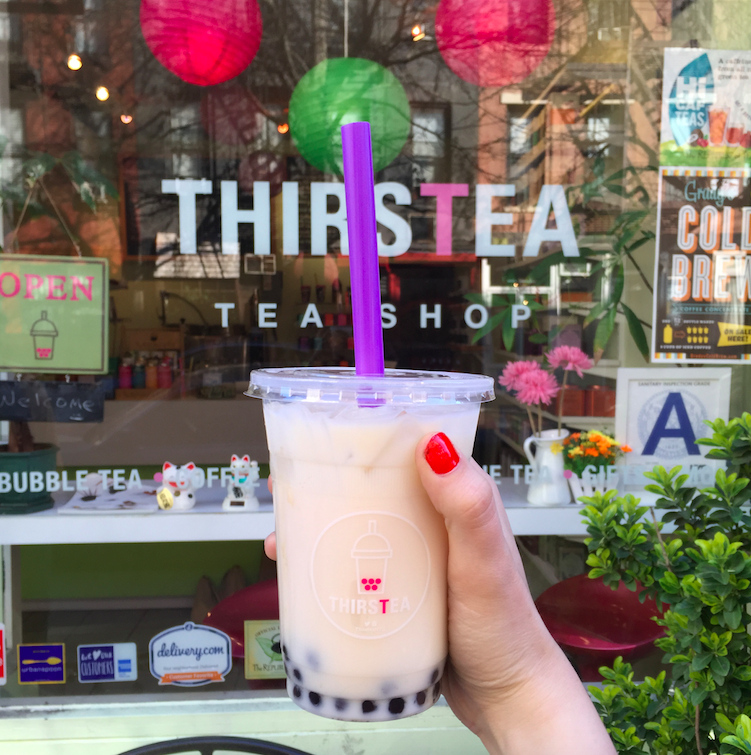 Describe your business in one sentence: One of the coolest places in Manhattan to get a non-alcoholic drink. Spoon Reaction: Hands down the best bubble tea I have ever had. Winn was also super friendly, chatting with me like we were old friends. It is so obvious Winn loves what he does! 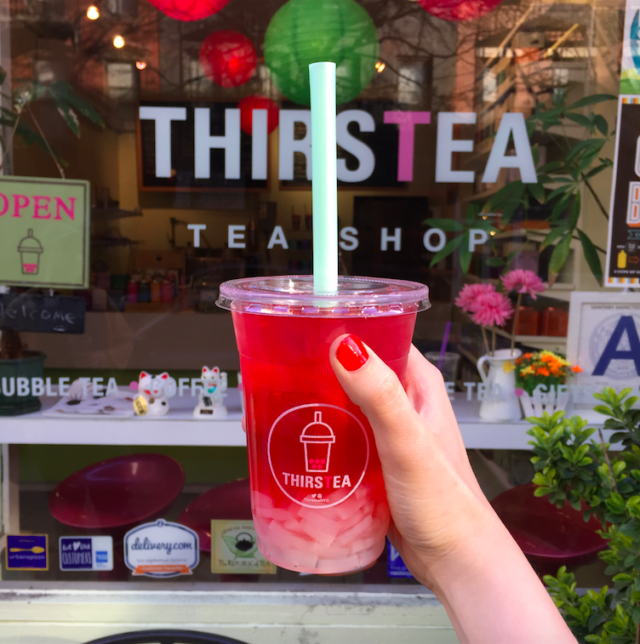 Whether you prefer milk tea, iced tea, hot tea, or fresh lemonade; put Thirstea at the top of your list. PS: Can we talk about how photogenic these drinks are? !